If you or a family member suffered harm due to a potentially defective product in Arkansas, one of the first and most important steps you can take after receiving medical attention is to contact the knowledgeable product liability attorneys at the Minton Law Firm. The Little Rock product liability lawyers at the Minton Law Firm represent those injured by defective products. We have a right to expect consumer products are safe when used as instructed and for their intended purposes. But the sad reality is that tens of thousands of innocent people are killed and millions more are injured by defective products each year, according to data from the U.S. Consumer Product Safety Commission (CPSC). Although agencies such as the CPSC, the Food and Drug Administration (FDA), and the National Highway Traffic Safety Administration (NHTSA) monitor for defective products and have the abilities to initiate recalls, faulty products often injure or claim the lives of multiple people before they are recalled. A successful product liability case must demonstrate that the product was defective and that the defect led to injury. A consultation with an experienced product liability attorney can help you determine if you have the legal grounds to pursue a defective product case. In some cases, a court may also award punitive damages. Punitive damages consist of additional compensation intended to punish the defendant for reckless behavior and deter others from engaging in similar conduct. As with other types of personal injury cases, your time to file a claim related to a defective product is limited by a statute of limitations. 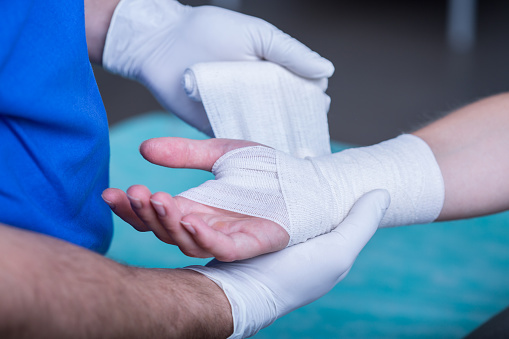 In Arkansas, injury victims generally have three years from the date the injury occurred to file a lawsuit. While there are some exceptions, it is in your best interests to consult with a lawyer as soon as possible to preserve evidence and thoroughly investigate your claim in a timely fashion. If you were hurt or a family member died due to what you believe may be a defective product, please call the Little Rock product liability lawyers at the Minton Law Firm at 501-404-5433 or contact us online to arrange your free consultation. We welcome clients from the greater Little Rock and Benton areas, and across Arkansas.